Welcome to my teacher portal! Here you will find tabs for Announcements (news letter) & Events (spelling, vocabulary, high frequency words,) Homework Section, Supply List, and Useful Links. 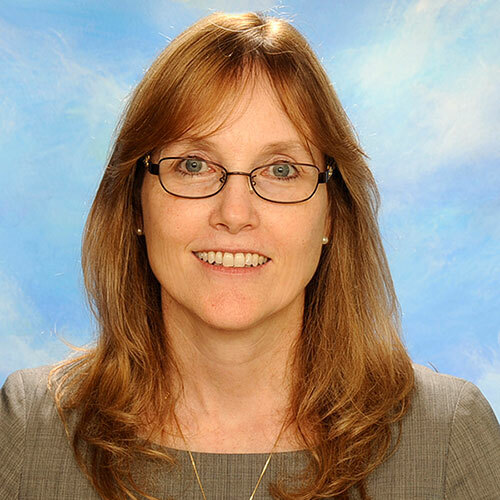 Mrs. Cecelia Rosenfelder has eighteen years of teaching experience and holds a Bachelor of Science degree from the University of Maryland and eighteen additional credits of post-graduate work in educational studies. Mrs. Rosenfelder is dually certified through the State of Maryland in the areas of Early Childhood Education and Elementary Education. Mrs. Rosenfelder has received various awards in commendations through her teaching career including Who’s Who Among American Teachers, the American Legion’s Teacher of the Year Award, was recognized as St. Mary of the Mills Teacher of the year in 2006, and in 2012 received the prestigious Golden Apple Award from the Archdiocese of Washington. The 2018-2019 school year will be Mrs. Rosenfelder’s seventh year at St. Francis de Sales School and she utilizes a variety of educational strategies in her classroom. Mrs. Rosenfelder is an advocate of project based learning, experiential learning, and Responsive Classroom. It is her philosophy that these particular approaches toward student learning increases engagement and fosters collaborative learning. Mrs. Rosenfelder uses a combination of formative and summative assessments to measure students’ academic progress and to make determinations based on individual student goals. Using a variety of teaching strategies, she then tailors instruction to meet student needs. Mrs. Rosenfelder is an active parishioner of St. Francis de Sales Catholic Church and is passionate about Catholic school education. Teaching in a Catholic school allows her to share her vocational calling as a faith leader and to guide students to live out the Gospel message in their daily lives. It was wonderful seeing all the parents at our Annual Auction. It was a fantastic event! Thank you to all the parents who helped and especially thank you to Mrs. Bounds for organizing this event. Please note that this weeks story How Groundhog’s Garden Grew and our vocabulary words are different then the ones listed on ThinkCentral. This week we start spring uniforms. On another note we are running short of pencils. If anyone would like to donate pencils to the class it would be appreciated. This is the final week for our unit on changes. We have read many interesting selections and talked about how they relate to the Big Idea, “Living things change over time.” The living things in question this week are plants. We are going to explore the question “What steps would you take to plant a garden?” In the Fantasy story How Groundhog’s Garden Grew, we will find out how Squirrel helps Groundhog with his vegetable garden. In the informational text Super Soil, we’ll learn how soil helps plants grow. This week our phonic skills words with/aw/: au, aw, al, o, a. Our vocabulary strategy is using context. Our comprehension skill sequence of events -tell the order in which things happen. Our Comprehension strategy is Monitor/clarify-find ways to figure out what doesn’t make sense. Math we will continue our unit on metric measurement. In Religion we will continue our Family Life program. Science we will continue our unit on Health and Hygiene and begin to prepare to present information to the Pre-Kindergarten students on health. If you haven’t already please return the permission slip and money. Thank you. Reconciliation at the Church 4:00 p.m.
Be a loving disciple of Jesus. Please note I have erased each week after this date. Blazing A Trail Papers came home today. Keep track of students reading minutes. Math: Study for Chapter 4 test tomorrow. Wear Black pants and Yellow Tee-shirt for the “Nutcracker” tomorrow. Tonight: Tree lighting in front of church 7 p.m.
Ballet: Nutcracker-Some second graders are performing. Spelling: Spelling City 5 minutes or write words 2 colors one color for consonant digraphs. Bring Winter Dress Uniform to change into after the program or wear under costume. Spelling: Two Colors: write words once using two colors-one color for consonants the other color for vowels. This will help with the vowels patterns. Students will receive new words today. Spelling test September 28th. Each class/grade has created a ‘Wish List’ of items that we anticipate will be needed throughout the school year or special items to be used in the classroom. Click Here to access the second grade wish list. We appreciate everything you do to help our students.